New Assetto Corsa Series starting July 30! 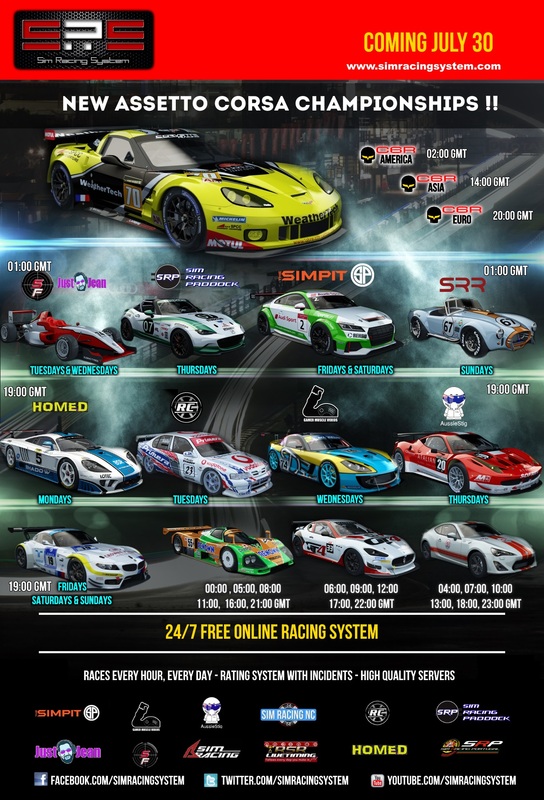 Sim Racing System Sim Racing System News New Assetto Corsa Series starting July 30! We are delighted to present our new Assetto Corsa series! Fuel consumption:170%, Tyre wear:100% & pit window 00:10 - 00:50. Great stuff thank you SRS! One question - I see that there is a paid mod pack (RSS GT1, €11.90) being used, is it likely to be used again? As I am quite hesitant to buy it just for one single 20m race on a monday. I wonder how many SRS users out there already have the pack? (07-28-2018, 08:15 AM)Alex Leif Wrote: Great stuff thank you SRS! At last a btcc race! I'm going to treat the pack as another dlc. I wasn't aware of it so will give it a go. Bonus it's on sale. Even if it is just for one series it's not a massive investment. But being cars from the simbin gtr era I'll get alot of use out of it. Looks like fun....time to get the paint out! from where is the Primera BTCC ? C6R only have 3 skins. Here are some more skins from a random online search.